- The U.S. employment report for March provided a sigh of relief after recent signs of weakness in the labor market, while at the same time did not send a powerful enough signal to make markets fear a change in the Federal Reserve’s current “patient” approach to monetary policy. Nonfarm payrolls (NFP) rose by 196,000 in March, above consensus expectations for 175,000, while the jobless rate held steady as expected at 3.8%. 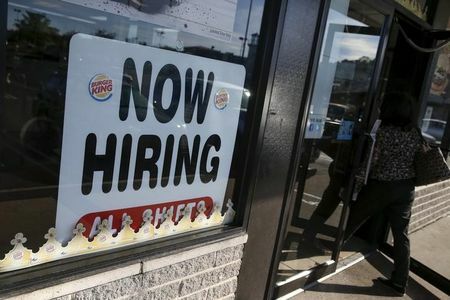 The increase in job creation came after an extremely weak reading in February and Wednesday’s report from payrolls processor ADP that showed the U.S. economy added the fewest private sector jobs in 18 months during March. “Apart from the lower labor participation rate, the jobs report is supportive of the economy, markets and the Fed’s current policy stance,” Allianz chief economist Mohamed El-Erian commented on the March figures. Average hourly earnings, meanwhile, grew 3.2% on an annualized basis, slowing from the prior month’s reading of 3.4%. Although it remains above the 3% level that is generally considered to put upward pressure on inflation, the slowdown supports the Fed’s March decision to hold policy steady and no longer forecast a rate hike in 2019. El-Erian’s concern over the lower labor participation rate - which dipped to 63.0% from 63.2% - was shared by William Spriggs, Howard University economics professor and chief economist at the American Federation of Labor and Congress of Industrial Organizations, who takes a dimmer view of the employment report. He considers the fact that the jobless rate held steady as a result of a decline in participation and a slight dip in the employment-to-population ration.